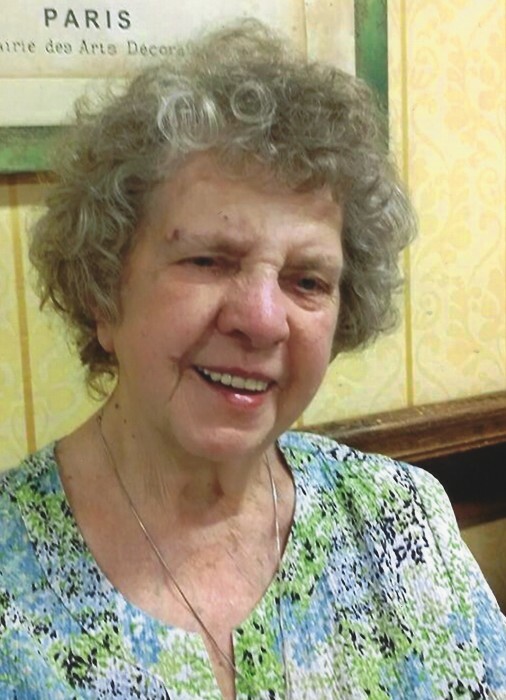 Irene Mildred Bishop, 81, of Norris City, passed away at 12:24 p.m., Thursday, July 5, 2018 at Newburgh Healthcare in Newburgh, IN. She was born in Canton, OH on August 15, 1936 the daughter of Michael and Catherine Dorothy (Kislan) Dobransky. Irene married Delman Bishop and he preceded her in death on July 11, 1981. She was a homemaker and member of Landmark Baptist Church. Irene enjoyed quilting and canning receiving many awards and ribbons. She loved her country home setting, cooking, baking and flowers. Irene enjoyed entertaining family and friends always treating everyone as family. Irene is survived by four children, Elizabeth (Keith) Bryant, Norris City, Orville Lynn (Jeanie) Hysell, of Carbondale, IL, Pamela Sue Burk, of Carbondale, IL and Del (Vickie) Bishop, of Evansville, IN; sister, Catherine Ann (Richard) Perrenoud, of Canon, OH; 10 grandchildren, Tyler Del Bishop, Ashley Renee Bishop, Serena (Steven) Stoops, Travis Douglas, Franklin Alan Burk, Michelle Lee Hard, Lena (Justin) Hicks, Derek (Kerri) Austin, Evan (Marilyn) Bryant and Michelle (Robbie) McHugh; 15 great-grandchildren, Hayden Kace Bishop, Hayden Naomi Stoops, Makenzie Lysette Stoops, Lillian Aleaha Stoops, Charlotte Grace Stoops, Darien McClelland, Bella Hankins, Abraham McClelland, Jude Hicks, Christina Mantel, Tiffany Mantel, Sydney Bryant, Morgan Bryant, Amanda Garrett and April (Eric) Holman; 4 great-great-grandchildren, Savannah, Caleb, Ava and Scarlett. She was preceded in death by her parents, husband, Delman Bishop, long time companion, Donald Turner and two sisters, Rose Marie Day and Deloris Sattlon. A Home-Going Celebration of Irene Mildred Bishop's life will be held at 1:00 p.m., Saturday, July 14, 2018 at Landmark Baptist Church in Evansville, IN with Pastor Barry Kirves officiating where a meal and fellowship will begin at 11:30 a.m. Burial will be in Raleigh Masonic Cemetery in Raleigh. In lieu of flowers, contributions may be made in Irene's memory to Landmark Baptist Church, 1624 Helfrich Ave., Evansville, IN 47712 and will be accepted at Campbell Funeral Home in Norris City or sent directly to the church.